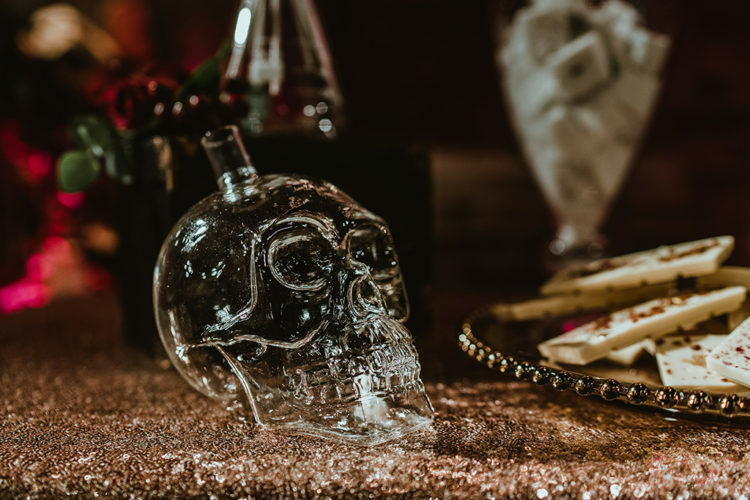 This enchanted forest wedding with skulls and dinosaurs plus apothecary vibes is a gorgeous and amazing one that’s gonna strike you! 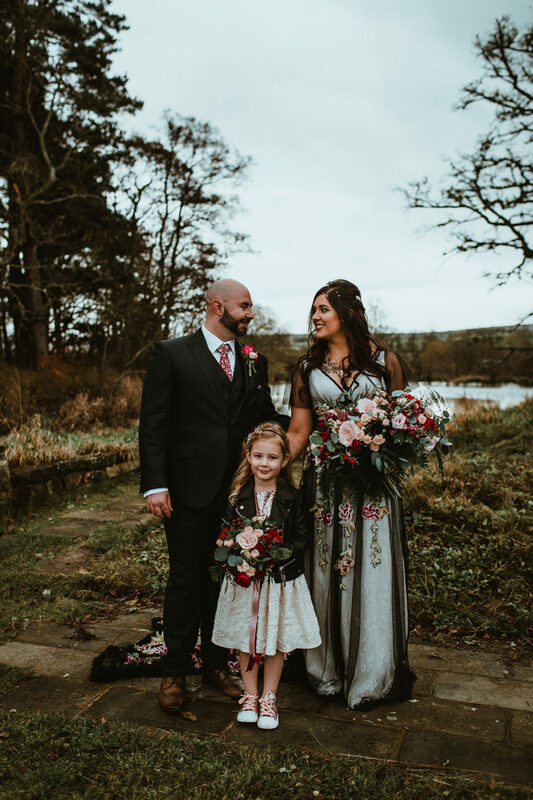 The inspiration for the styling of Hollie and Dan’s big day all stemmed from Hollie’s My Big Day Bridal dress – a dramatic and gothic one. 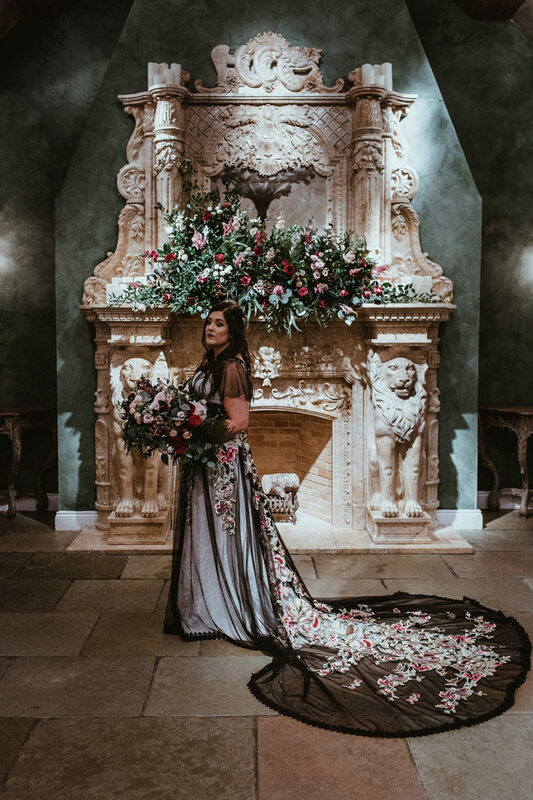 The dress in question was a beautiful black tulle and floral embroidered overlay gown. 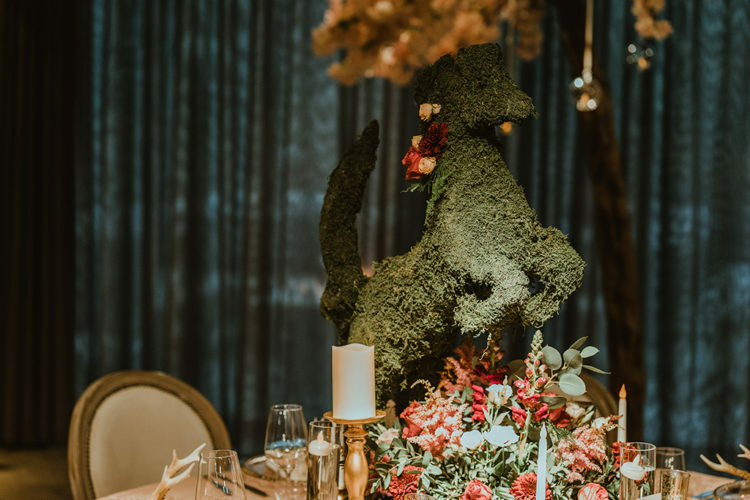 Hollie paired it with a jewelled headpiece, laser cut shoes and a custom printed jacket by Princess Crocodile Designs, who also made a mini version for the flower girl. 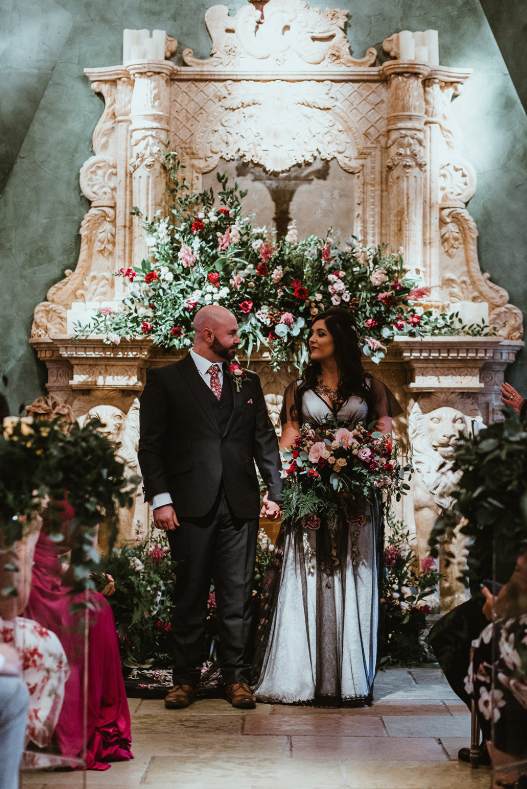 The groom was wearign a black three-piece suit and a printed red tie to match the wedding dress. 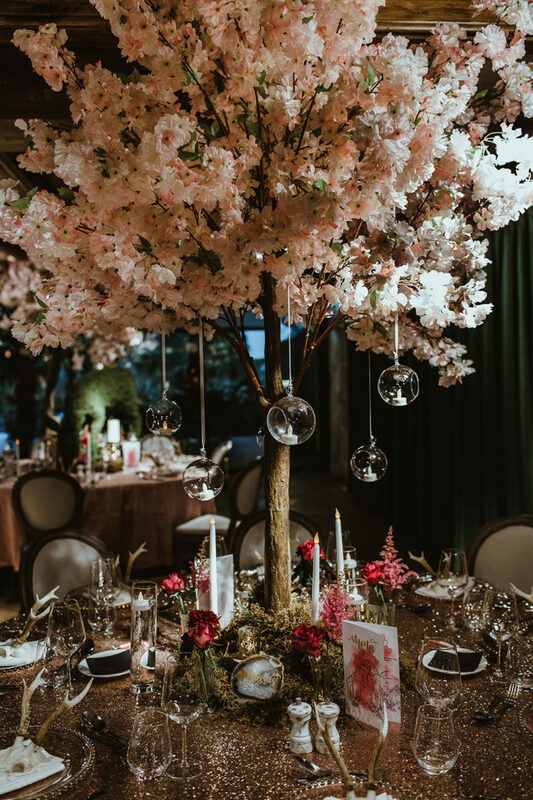 The dress’ floral embroidery inspired the sumptuous blooms used throughout their day – provided by the bride’s own business. 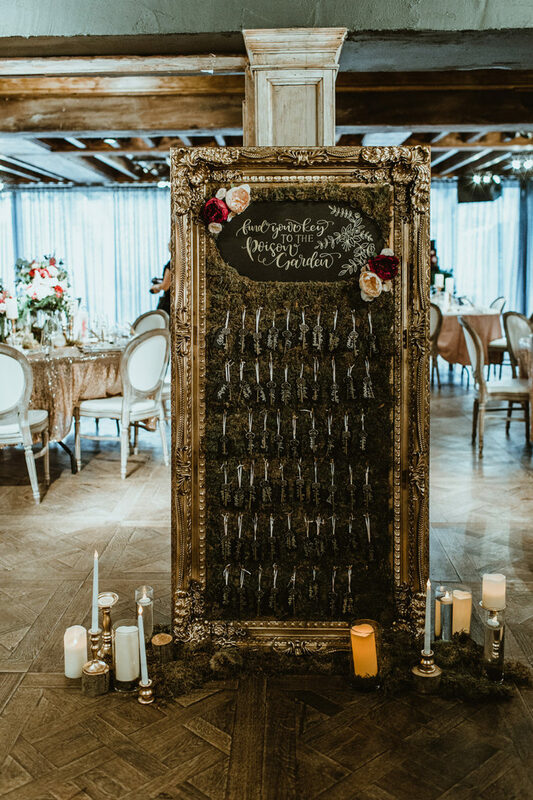 They interspersed florals with antlers and skulls in their invitation designs, complete with hand-stamped wax seals, and filled the venue with foliage covered light up letters and hearts and lit everything in an ethereal pink glow. 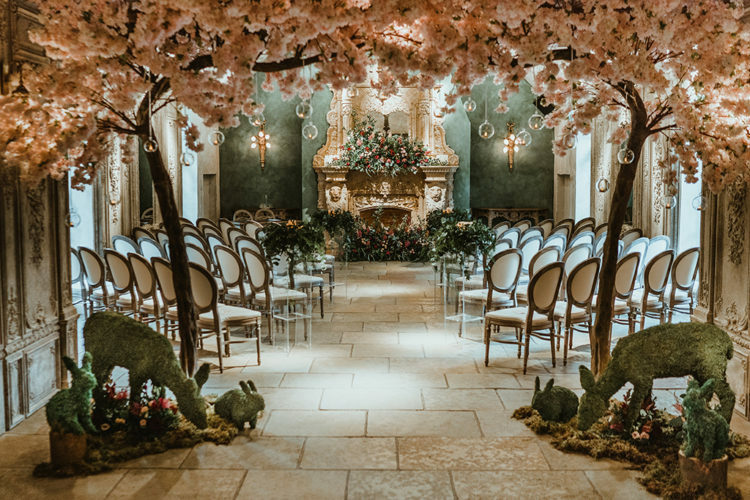 Held at a French-inspired venue complete with fairytale cottage, Mediterranean gardens and flaming fountain, the couple tied the knot in the beautiful Belle Epoque room; a French chapel-inspired room complete with crystal chandelier, huge marble fireplace and storybook thatched roof. 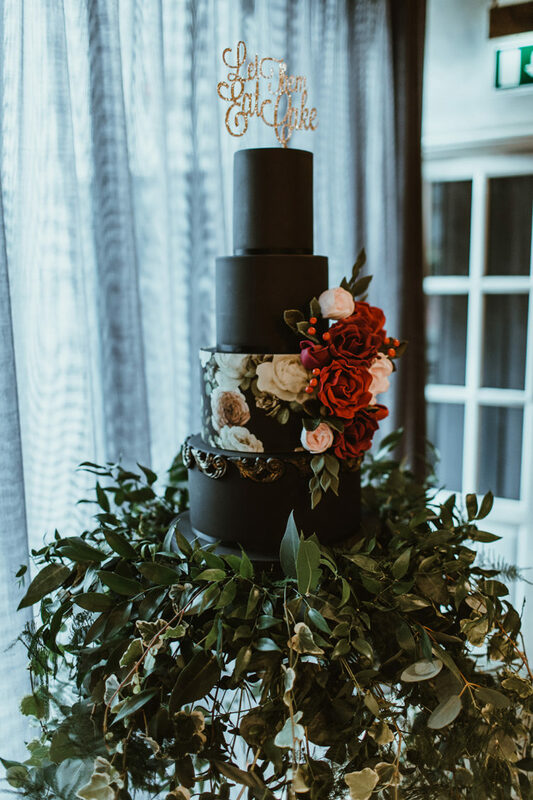 Their cake, a four-tiered black and floral creation, was complete with an apothecary themed dessert table with drawers and cabinets bursting with all different desserts, that Hollie and her team thrifted and painted up. 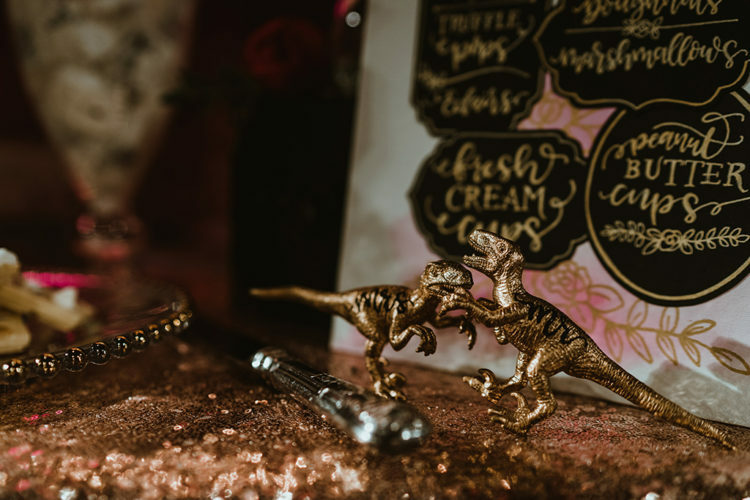 Hollie also painted geodes for place settings, spray painted plastic dinosaurs for centerpieces and made the table plan.